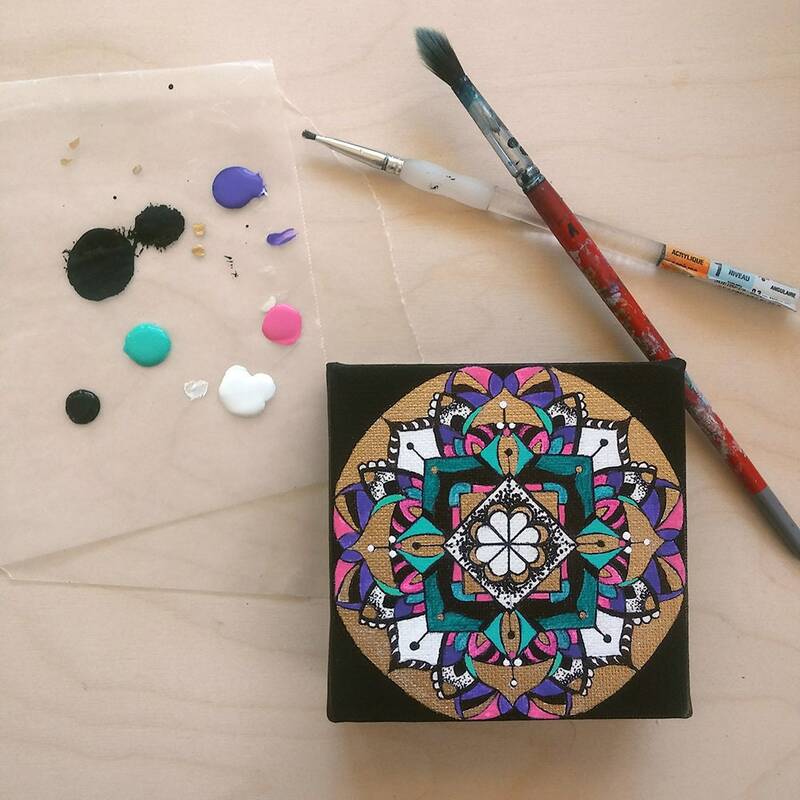 Are you a lover or collector of art? 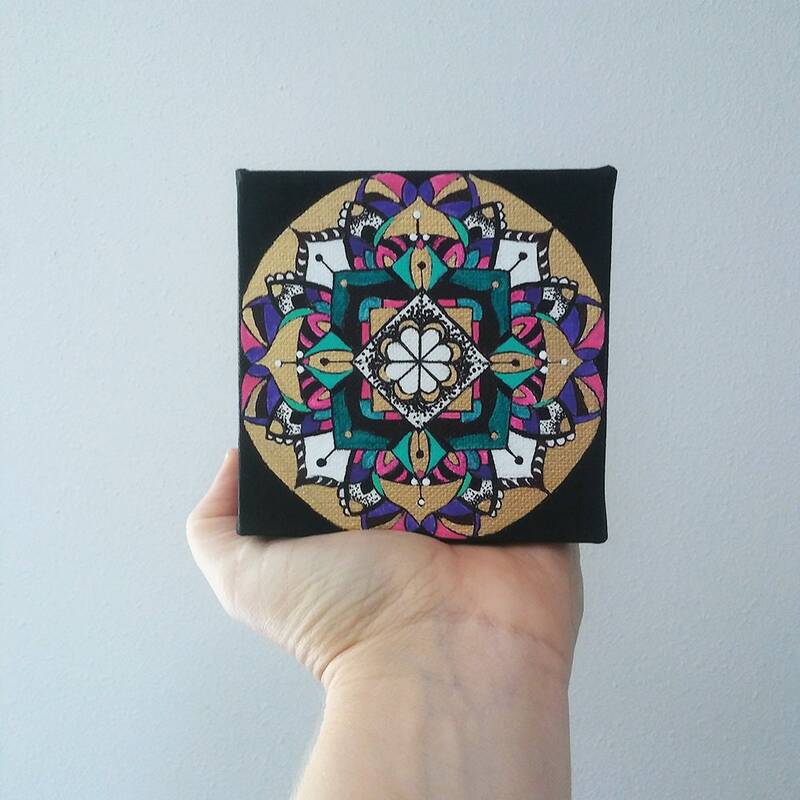 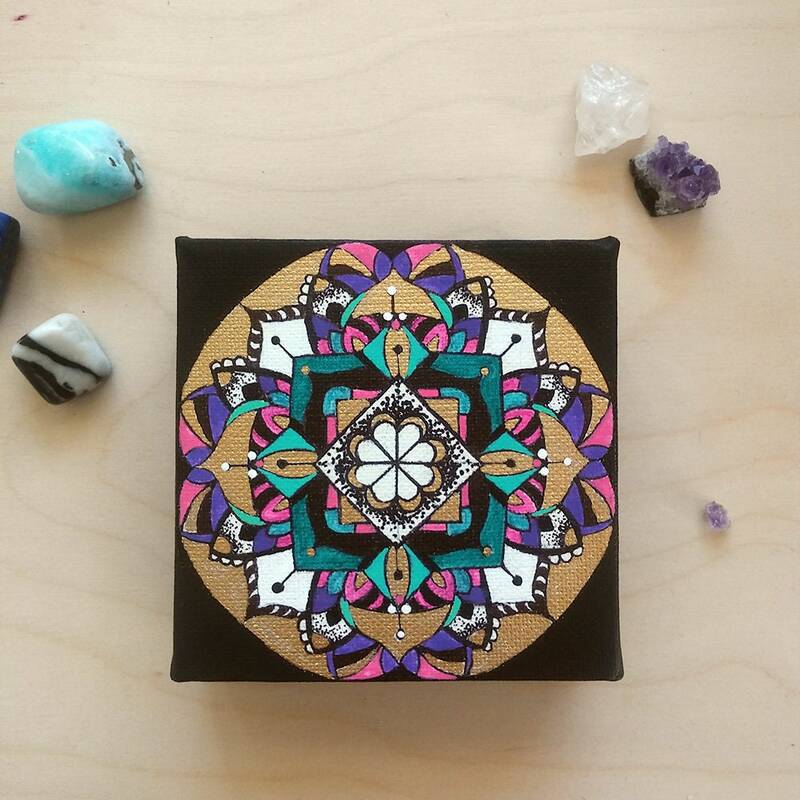 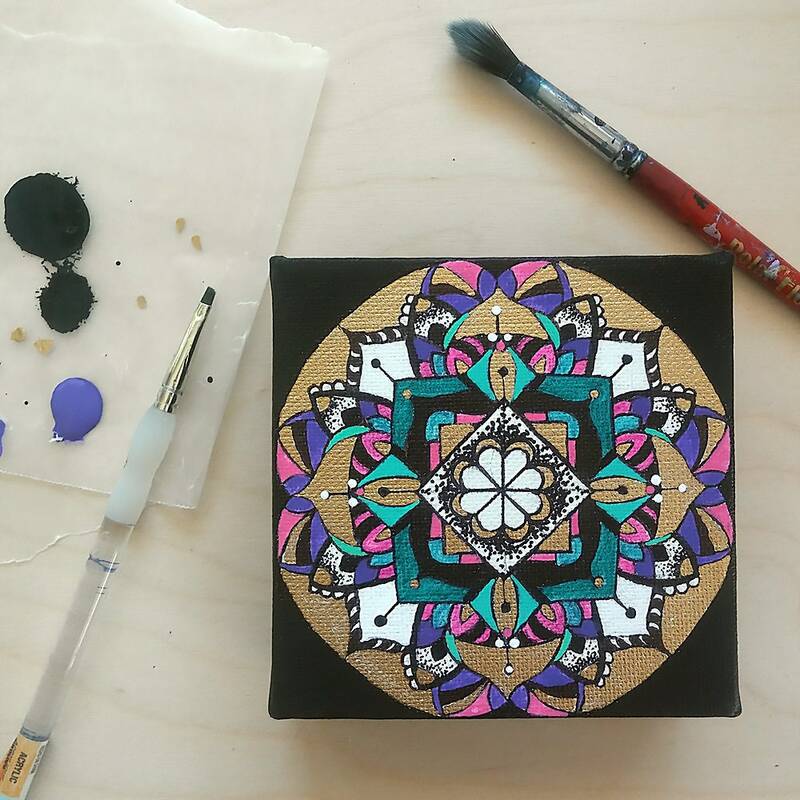 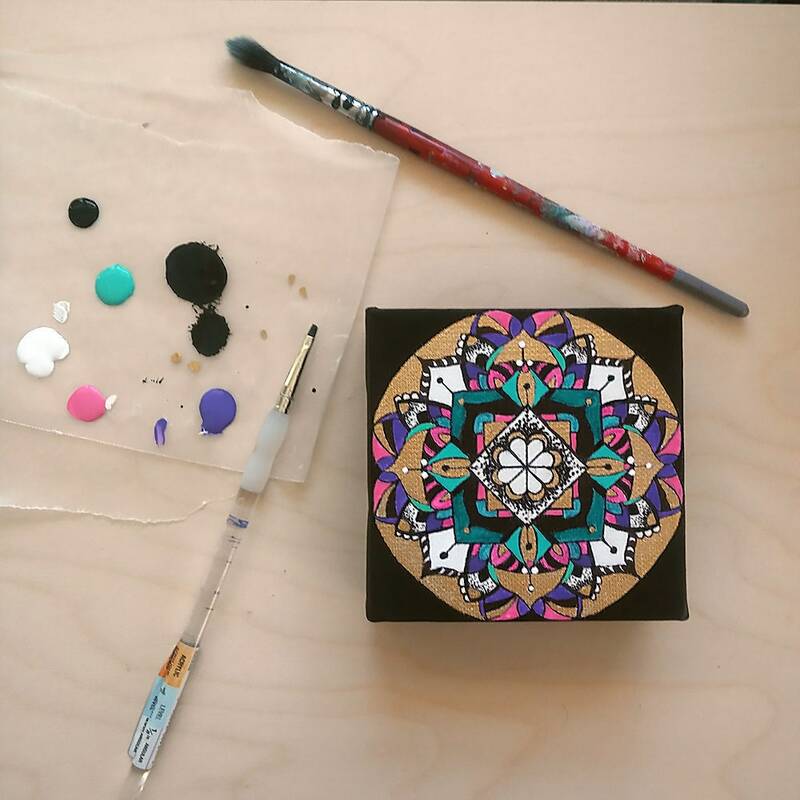 This little mandala painting will add a colorful touch to any wall, nook, or shelf. 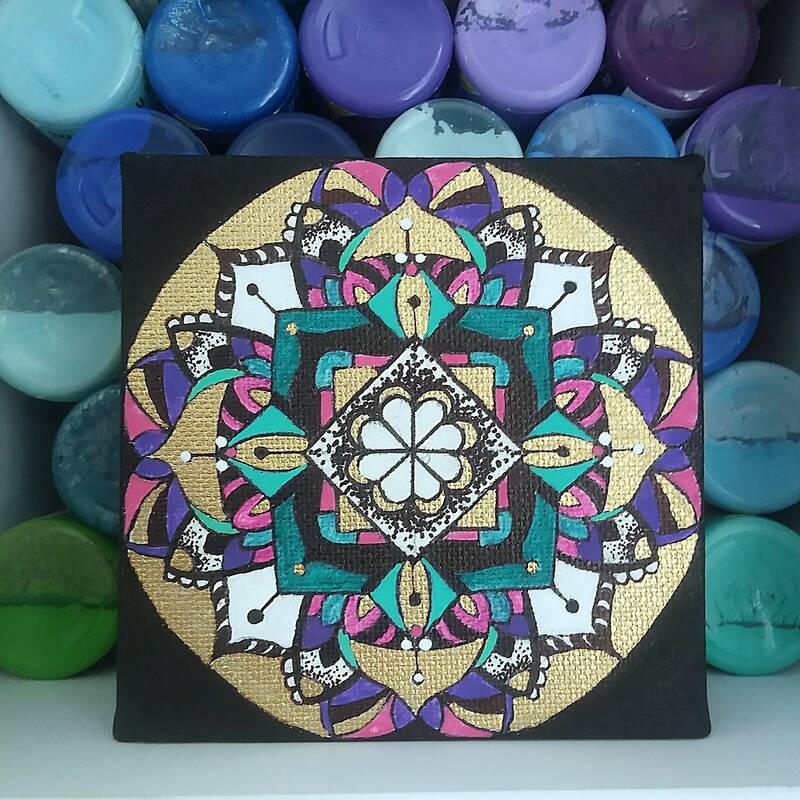 It is hand-drawn and painted using acrylic paints. 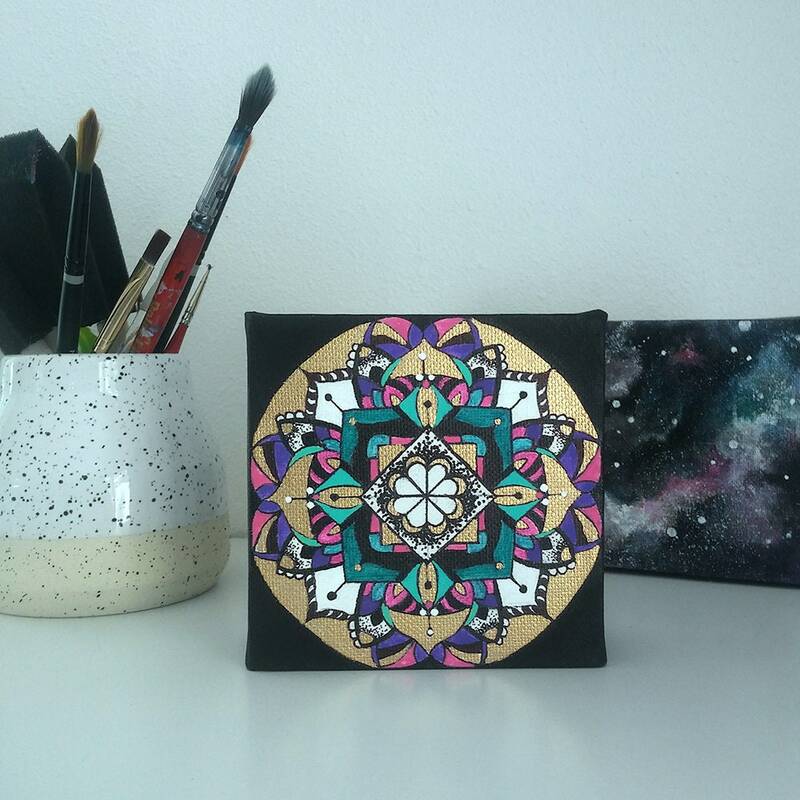 Comes ready to hang.